Record demand for metropolitan office space in Sydney and Melbourne in 2014 is set to lead healthy activity in the sector in the year ahead. According to Colliers International’s latest Metropolitan Office Research & Forecast Report, Dial for Demand: Enquiry for Metro Assets on the Rise, demand for office space in the non-resource exposed markets of Sydney and Melbourne reached record levels in 2014. Just over 570,000sqm were recorded in Sydney and almost 400,000sqm in Melbourne, compared to 239,000sqm in Sydney and 278,000sqm in Melbourne in 2013. Simon Hunt, Colliers International Managing Director of Office Leasing said demand in Sydney and Melbourne over the past five years had been consistently high reflecting the depth of the metropolitan markets in these cities as well as their much larger populations. “It is important to note that of the above enquiries, in Sydney and Melbourne in particular, many tenants are also listing the CBD as one of their enquiry markets,” Mr Hunt said. “In 2014, just over half (53 per cent) of all Sydney metropolitan enquiries also listed the CBD as a potential office location, and in Melbourne exactly a third of metropolitan enquiries were also looking at the CBD. Historic and current metro office enquiry data provided an insight into who the future occupiers might be and what demand volumes could look like in each metropolitan office market. In Sydney, IT firms have led metropolitan office enquiry over the past five years, accounting for 16 per cent of all enquiry, while business services (13 per cent), media & communications (11 per cent) and finance & insurance (10 per cent) rounded out the top five. 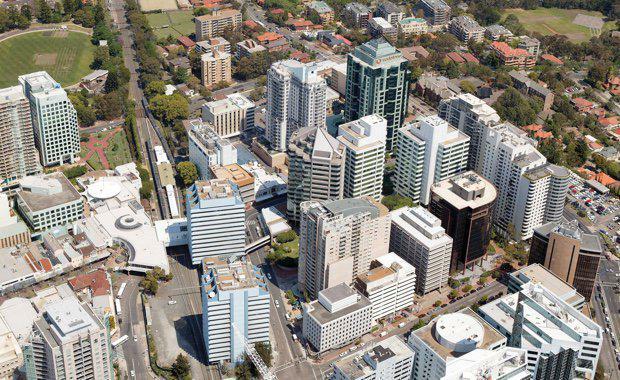 “The enquiry profile for Sydney metro office space is quite different to the other capital cities, reflecting that city’s position as a headquarters for many international firms,” Mr Hunt said. “The Sydney metropolitan office market is the only city where media & communications and finance & insurance firms made the top five. The enquiry profile for Melbourne was for more traditional metropolitan office tenants, with business services the largest category (17 per cent), followed by information technology, construction & trade and health & community services (all 8 per cent). According to the report, historical new supply data in various state metropolitan markets suggests a lack of appropriate stock in Melbourne’s metropolitan markets – particularly the popular City Fringe and Inner East markets – which could make meeting the needs of these enquiries challenging. Since 2001, only 250,000sqm of additional office space has been built in Melbourne metropolitan markets, compared to 640,000sqm in Sydney, and 724,000sqm in Brisbane.